Following on from the previous series of articles by Cameron Buettel, the author further reflects on the unrepentant false teaching Brian Houston persistently engages in. 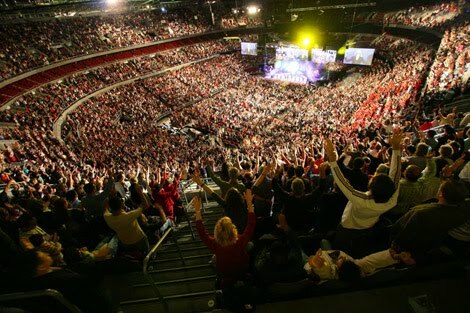 The growing, worldwide influence of Brian Houston and the Hillsong branded business make it more essential than ever that Christians be courageous enough to speak out against its poisonous false doctrine and unbiblical practices. For even if I made you grieve with my letter, I do not regret it – though I did regret it, for I see that that letter grieved you, though only for a while. As it is, I rejoice, not because you were grieved, but because you were grieved into repenting. For you felt a godly grief, so that you suffered no loss through us. For godly grief produces a repentance that leads to salvation without regret, whereas worldly grief produces death. (2 Corinthians 7:8-10). Time and time again I have cited example after example of this violation of their own doctrine statement (several of the videos previously cited have since been removed). In fact, of the services I and others have attended, the books we have read, the CDs we have heard, and the videos we have downloaded or streamed, none of us have ever heard anything about repentance coming from any Hillsong source. Even if it has been preached on an occasion that I am not aware of (and I gave an open invitation to my many critics to prove me wrong with nothing ever forthcoming), such a core doctrine essential to salvation should be strongly evident in all their outreach arms. 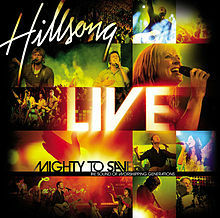 Hillsong even had the audacity to edit the Bible verse on the back cover of their “Mighty to Save” CD to sanitize repentance out of it (yes, they REMOVED the line from 2 Chronicles 7:14 that says “turn from their wicked ways”). Can anybody else smell a rat? Fast forward to Pastor Brian Houston’s sermon at Saddleback. I polled several friends and colleagues of mine at the Master’s Seminary (where I am a student) and asked them if they thought it was possible to preach a sermon out of 2 Corinthians 7:8-10 without mentioning the word repentance. 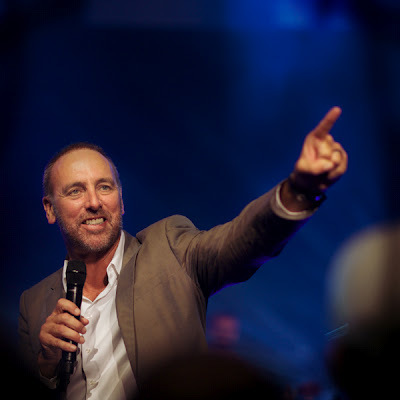 None of them thought this to be possible but Brian Houston proved them all wrong. That’s right, he preached directly out of a passage that explicitly and obviously centers on repentance without even once talking about it. How did he get out of even mentioning repentance when reading the text itself? By switching to a very liberal translation (The Message) when he got to verse 9! Preachers are called to submit to the biblical text, not submit the biblical text to their own agenda. If you don’t believe me then you can see it for yourself (the translation switch happens at the 15:30 mark). Chris Rosebrough’s brutal review of the sermon can be heard here (start listening to the program at the 93 minute mark). Oh how tragic that a church would pay a lot of money for a man to fly a long way and then obscure the glorious truth that is so obvious to anyone who would read that passage. It is perhaps almost as tragic that Brian Houston’s continual avoidance of the subject of repentance makes him oblivious to his own need to repent. And repentance of theunbiblical nonsense he is preaching is the single greatest contribution he could presently make to the Body of Christ. Posted by Cameron Buettel from The Bottom Line blog.